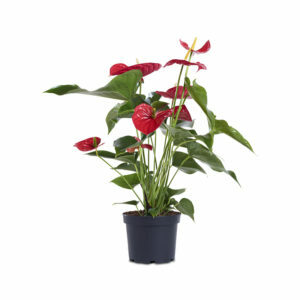 Our production includes more than 300 different plants belonging to more than 60 different varieties, among which Spathiphyllum, Anthurium, Scindapsus, Dieffenbachia, Schefflera, and Phalaenopsis stand out Thanks to the constant temperature of over 25 degrees, even during winter season, high quality, and sturdiness the production capacity is guaranteed all year round maintaining a low environmental impact. 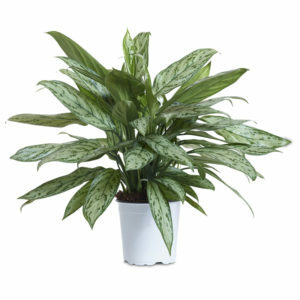 The Spathiphyllum Martina TM is an exclusive product of Floramiata, it was obtained by meristem culture in the internal research laboratory; an elegant plant enriched by magnificent white flowers that make it a precious furnishing accessory. 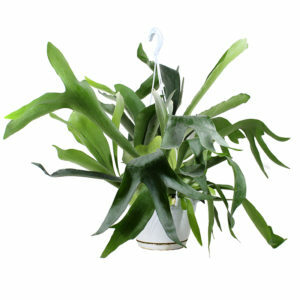 The cultivation techniques used try to favour the growth of the plant with nutritional contributions and non-invasive forcing systems that allow obtaining stronger plants, with a long shelf-life and able to harmoniously adapt to the domestic environment they are destined to. It’s necessary to ventilate above 21°C. Native plant of central America, easily adaptable to apartement life. It tolerate a minimal temperature of 10°C. Native plant of Mexico, also know as a smoke eating plant. The minimum tolerated temperature is between 12° and 14°C. This plant has a very low growth rate. 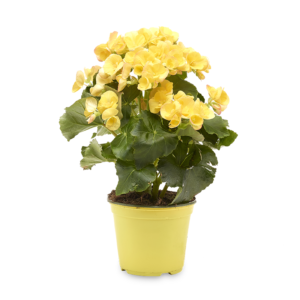 Ideal to be placed in sufficiently bright places without direct light. Frequent watering but avoid stagnation of water in the saucer. Native plant of malesia, in nature it reaches 3 meters in height. The ideal temperature is 20°c and should not never fall under 12°c. In an apartment it must be kept away from air currents. 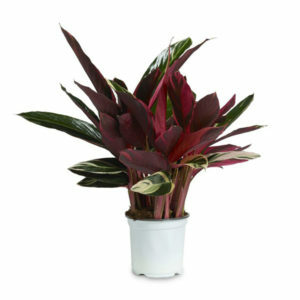 Native plant of Brazil, from varieties amoena and maculata are derived all the coltivations on the market. 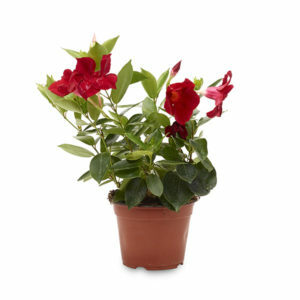 Dipladenia or Mandevilla Splendens is an evergreen plant from South America. 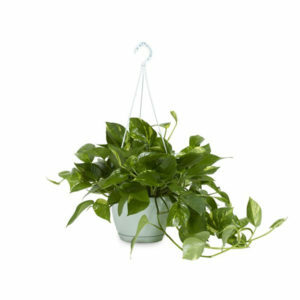 It is grown in hanging pots or as a climber helped by tutors. 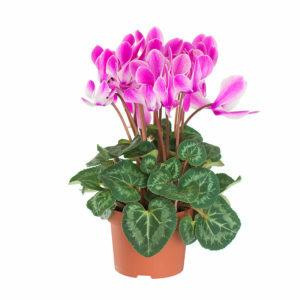 In spring it produces a large amount of pink, red or white flowers in the shape of a trumpet with an intense yellow gorge. 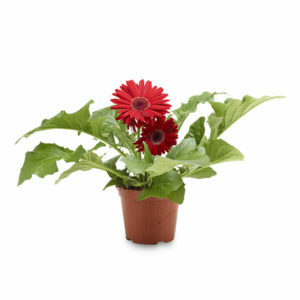 These plants can also be grown on land in areas where winter temperatures are fairly mild. Native plant of Africa (Guinea, Etiopia, Nigeria). Optimum temperature is between 20° and 24°C, the minimum winter temperature should not fall below 12°C. 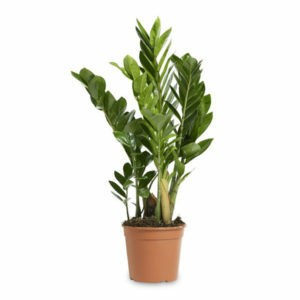 Very elegant plant native of india, south east asia and tropical north australia, it can assume considerable dimensions. Minimal nocturnal temperatures can drop to around 16°-20°c,those optimal diurnal swing from 22° to 26°c. 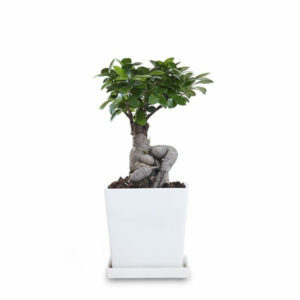 It is a species of tropical Ficus, belonging to the Moraceae family, which for tradition is cultivated with bonsai, being durable, easely adapt to the interior conditions of an apartment but is quite rare in nature. 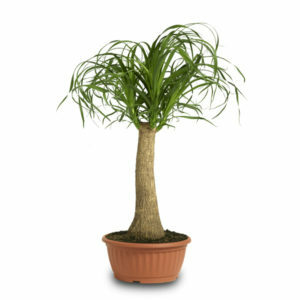 It’s a very malleable plant and easy to maintain, with a very large, sinuous, twisted and extremely wide trunk. 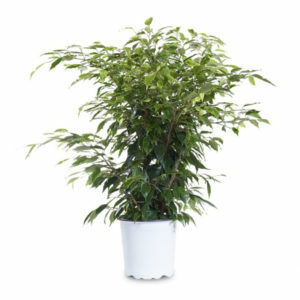 The foliage is very wide, leafy and shaded. 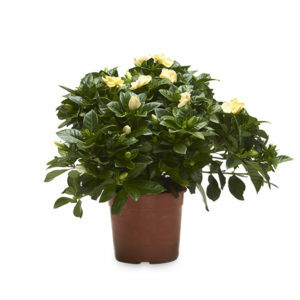 In nature it reaches impressive sizes, while in cultivation it does not exceed 3 meters. 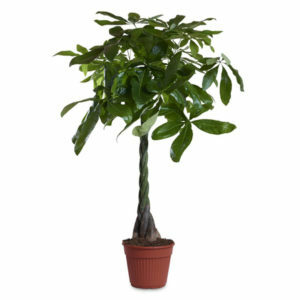 It’s an arboreal plant native of damp tropical areas. 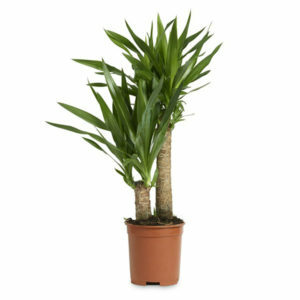 In a pot it can reaches 1,5 meters in height, while in the ground 12 meters. 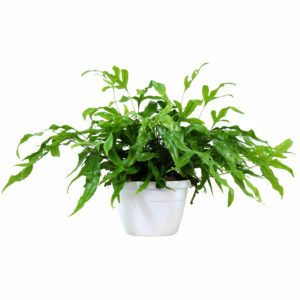 It has very large, shiny and corrugated leaves of green color. 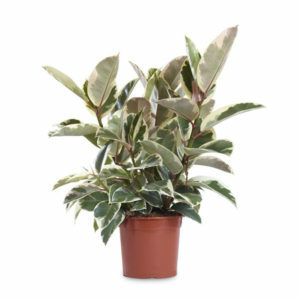 The Tineke Elastic Ficus variety with very decorative, creamy foliage is slightly more delicate than the others. Native shrub of Cina with a very fragrant flower, for have a summer flowering the winter minimal temperature must be of 12°C, for have winter flowering should not fall under 16°-18°C. 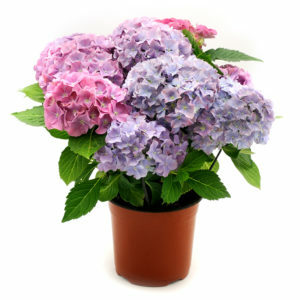 It can be place outdoors in the summer season. Native plants from equatorial forest of Brazil and Guyana where they grow in shady places of the undergrowth. 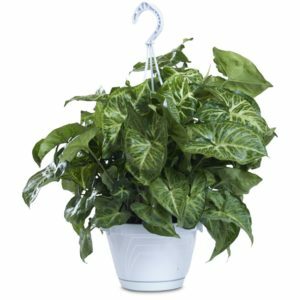 The leaves have the peculiarity to remain erect during the night and bend during the day to maintain humidity. 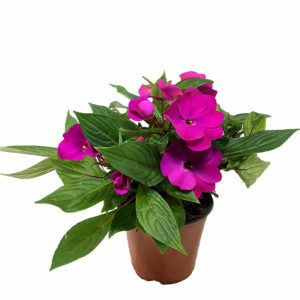 They are fast growing plants for which they are indicated for those who have low patience with plants and want to see immediately the results . 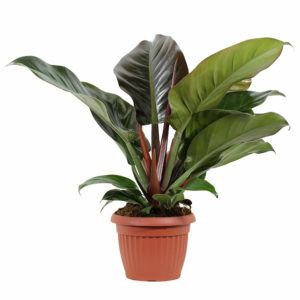 The optimal temperatures for a good cultivation of Maranta are between 20 ° C and 28 ° C.
Native tree of the central american region where it grows in wetlands like tropical estuaries. In nature it reaches 15 meters in height. The plant is know as chestnut of guiana because it produces edible seeds, eaten roasted or fried. 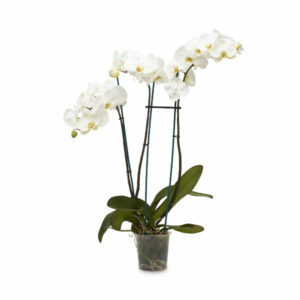 It is a plant of the orchid family, native of tropical regions of the Asian continent. 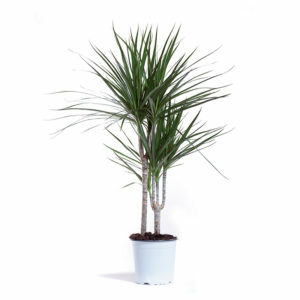 The name means “ like a butterfly” They are cultived in pots filled with pine bark and do not tolerate temperatures below 15°C. 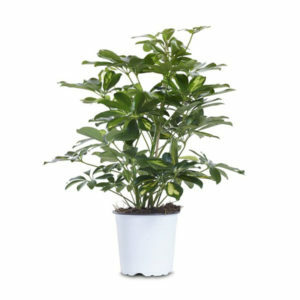 It’s necessary that the environement air has a high and constant humidity. Native plant of Mexico named as Christmas starand and belonging to the Euphorbiaceae family. 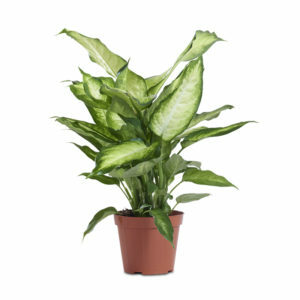 It’s a photoperiodic plant so it flourishes only with a certain number of light hours (8-9 at most) while in the other hours it should be in the dark. 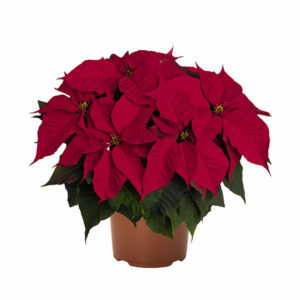 The Christmas Star is a plant that lives well in a fairly range of temperatures, between 14 and 22 ° C. He likes airy environments but no air currents. Spontaneous in some oriental areas (South China, Japan and Taiwan), so named in honor of the danish botanist Jacob Christian Scheffler. 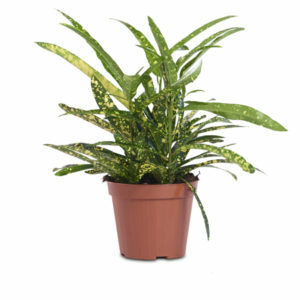 Rustic plant that also adapts to moderate nocturnal temperatures. Lianiforme native plant of Mexico. It can tolerate a minimal temperature of 14°C. Native plant of Mexico and Guatemala. In nature it reaches 15 meters in height. It tolerate low enough temperatures. Native of oriental regions of Africa (Zanzibar, Tanzania). 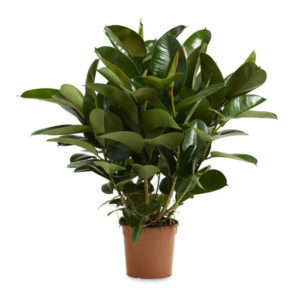 The name “zamiifolia” it means that the leaves are similar to Zamia. 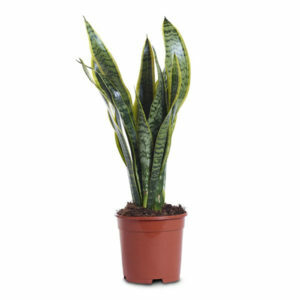 The adult plant can be reached and to exceed a meter in height. 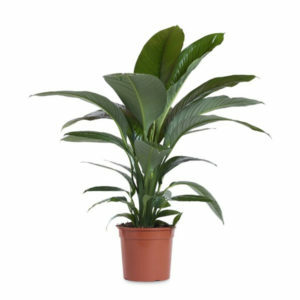 It is enought easy to mantein this plant in an apartement because it can be adapted in many conditions.